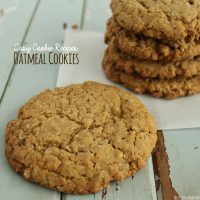 I’ve been making Oatmeal Cookies for my little family for years. They enjoy them as much as I do, if not more. I often make them just before the girls get home from school as a little after-school treat. They know I’ve made them as soon as they walk into the house, Mom! You made oatmeal cookies! It smells so good when you walk in the house! Sébastien loves them too! He takes one with him to work to enjoy with his morning coffee. This post contains some affiliate links for your convenience. Click here to read my full disclosure policy. – Pre-heat oven to 350°F. – In a large bowl, using a mixer, mix together the brown sugar, butter, eggs, and vanilla until smooth. – In a medium bowl, sift together the flour, oats, baking powder, and baking soda. 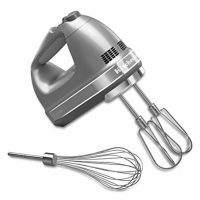 – Using a mixer, slowly add and mix the dry ingredients (contents of medium bowl) with the contents of the large bowl. 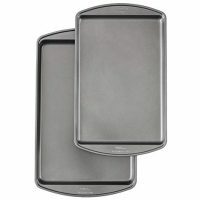 – Take out a baking sheet and line it with parchment paper. – Make balls with the cookie dough mixture (about 1/3 cup per ball), place them onto the cookie sheet (I usually put 4-5 balls per cookie sheet), and use a fork or your fingers and press down on them a little. 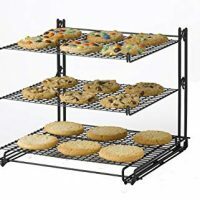 – Place cookies on a cooling rack. You can easily modify this recipe to your liking. If you like your cookies extra chewy, do not press down on the balls of dough before placing them in the oven. After a few minutes of baking, take out the cookie sheet, use a fork to push down on the cookies a little, and place them back into the oven until they are completely baked. If you like them crispy, use wax paper to roll the dough into balls (it allows you to make them firm without getting your hands all sticky). Then use wax paper to press them down firmly onto your cookie sheet. You can also add raisins, chocolate chips, and even dried cranberries into your cookie batter. 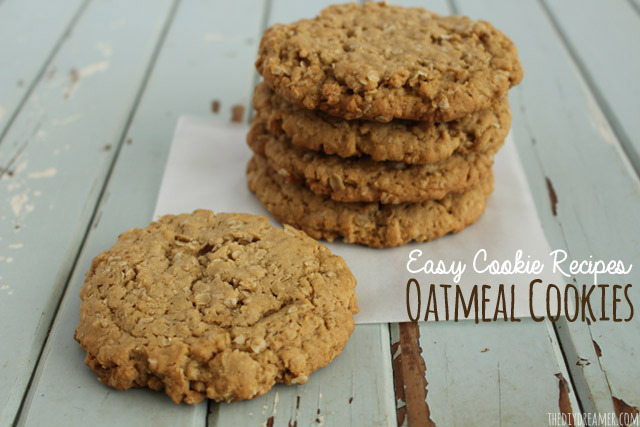 And voilà, you have delicious oatmeal cookies for you and your family! Don’t they look delicious?! Gabrielle ate the last one yesterday, I think I may make some more today! YUMMY! P.S. If you’re looking for another delicious cookie recipe, check out my Delicious Milk Chocolate Chip Cookies! 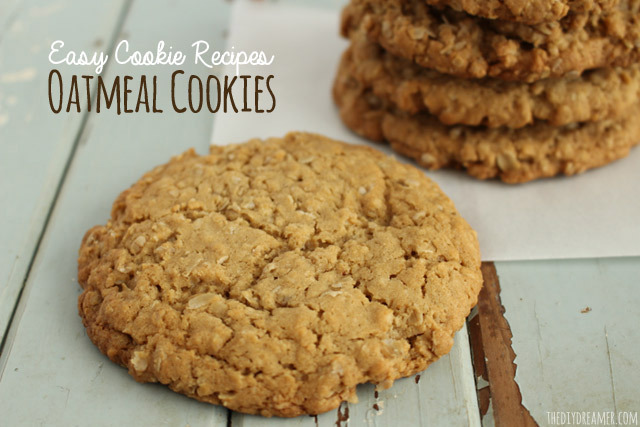 Hope you enjoyed this cookie recipe! Have a BEAUTIFUL day! 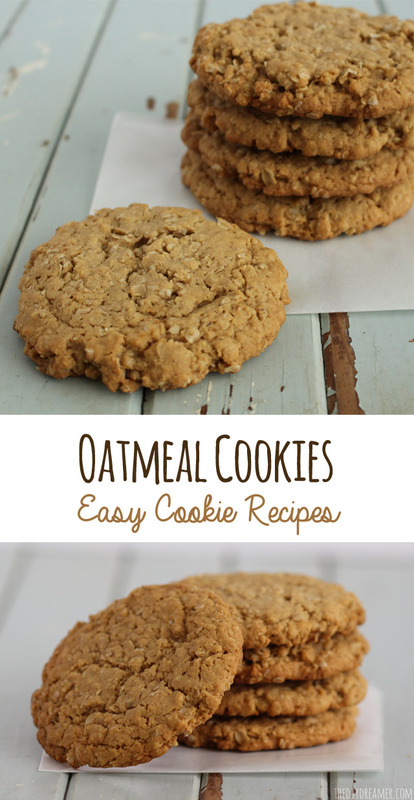 Chewy Oatmeal Cookies. This cookie recipe is absolutely delicious and easy to make! Easy Cookie Recipes! In a large bowl mix together the brown sugar, butter, eggs, and vanilla until smooth. In a medium bowl, sift together the flour, oats, baking powder, and baking soda. Slowly add and mix the dry ingredients (contents of medium bowl) with the contents of the large bowl using a mixer. Make balls with the cookie dough mixture (about 1/3 cup per ball) and place them onto the cookie sheet. (I usually put 4-5 balls per cookie sheet). Use a fork or your fingers and press down lightly on the balls of dough. Place bakes cookies on a cooling rack. This recipe can be easily modified to your preference. For extra chewy cookies: Do not press down on the dough balls before putting them in the oven. After a few minutes of baking, remove the cookie sheet from the oven. Lightly press on the dough balls with a fork and place the cookie sheet back into the oven until they are fully baked. For crispy cookies: Use wax paper to roll the dough into balls. Then use wax paper to press them down firmly onto the cookie sheet. For extra flavor: Add raisins, chocolate chips, and even dried cranberries into your cookie batter. These just look so delicious! Oatmeal cookies, a favorite of mine too! We add mini chocolate chips to ours. 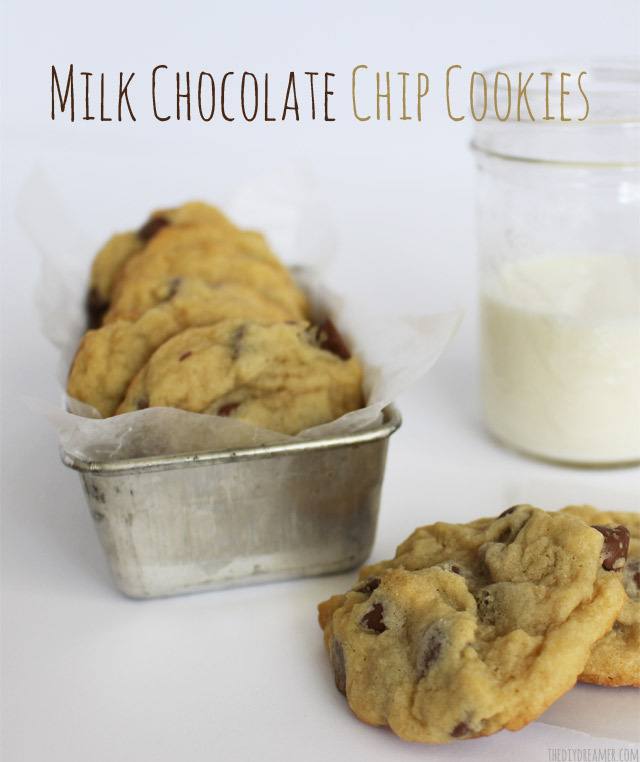 I should make these soon, I am not a big fan of chocolate chip cookies, will take these any day instead! Pinning! Will you please come by my Wonderful Wednesday Blog Hop to share them? 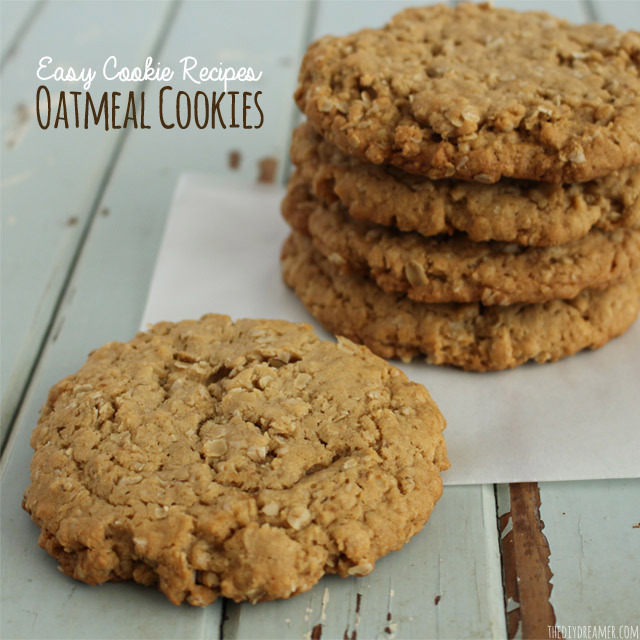 Three words that really go together are chewy, oatmeal, and cookies – yum! Pinning these so I can make them later! my batter seemed a tad runny. I used soft butter from the tub if that makes a difference…also, I didn’t use a mixer. Lol I hate the clean up afterwards…hope these turn out! I have them in the oven now ?